Trade Ally contractors receive training and support from Energy Trust, and can help you complete your cash incentive applications. These contractors are on the front lines of offering energy efficiency and renewable energy services and products to help you use energy wisely. Energy Trust encourages you to refer to this network of licensed and insured independent contractors. Trade ally contractors are up-to-date on the latest Energy Trust standards, quality control requirements and incentives. Trade allies are independent businesses that are solely responsible for the quality of their work. Energy Trust does not guarantee any specific energy savings through its assistance or programs. 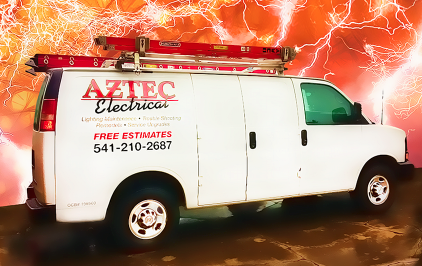 Call Aztez Electrical, a full service electrician, today and learn more: (541) 245-8560.